Did you know that one in four workers have less than $1,000 saved for retirement? Yikes. Many people put off saving for retirement because of credit cards or student loan debt. They may also prioritize lifestyle over savings, deciding to live at one’s means instead of below. Often times people just don’t’ know where to start, even when they want to save for retirement. If your employer offers a 401k, that’s great, you should probably take advantage of that. But, even if they don’t there are still plenty of ways to save for retirement. Could you imagine reaching your late 50’s or early 60’s without any money saved for retirement? Unfortunately, this happens more often than it should, leaving folks reliant upon part-time jobs and meager Social Security checks to support them in their golden years. Why do people wait so long to start saving for retirement? It’s not from a lack of options or opportunities, it’s oftentimes because people assume they should pay off their debts before reallocating money into retirement savings. Additionally, surveys have shown Millennials have little saved for retirement, probably because millions of people in this age category are currently dealing with student loan repayments and saving for down payments on a future mortgage. However, your 20’s and 30’s are prime times to start saving for retirement, and the long-term gains could likely be worth much more than the interest you’re paying on student loans. To summarize, there is no “right” time to start saving for retirement, but the general rule of thumb is the earlier, the better! 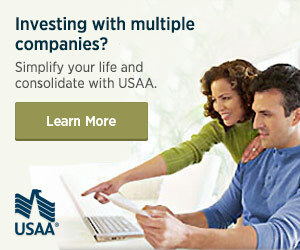 Did you know that you’re not limited to just one retirement account? In fact, you can invest in both a 401k and a Roth IRA. Granted, you might have to pay additional account management fees if you have more than one account, but why limit yourself to your 401k when you could save an additional $5,500 per year in a Roth IRA, which you can withdraw tax-free when you reach retirement age? Investing in your 401k is a no-brainer, but don’t mistakenly assume that’s your only option or even your best option. Instead, maximize your savings by funneling as much as you can into both types of accounts and prioritizing the one with the best returns. For example, if you have employer-matched 401k contributions, then funding your 401k should likely be a top priority. If you’re looking for places for your retirement savings options, you might want to check out investing with Betterment or Stash Invest. Both are great options for people looking for easy ways to get started investing. Some employers offer as much as 6% matching on 401k contributions, though 3% is more common. This matching program is designed to encourage employees to save more money for retirement by basically offering you free money in exchange for productive financial habits. If you’re like most employees, you’re probably not saving enough money for retirement in your 401k, but you can still take advantage of employer-matched contributions for as long as you work for the company, so what’s holding you back from this awesome opportunity? The first rule about successful investing is that you should always try to diversify your retirement investments. If you’re overloading your portfolio with too much of one market or type of investment, such as an overly conservative emphasis on bonds or hyper-aggressive investing in mostly stocks and junk bonds, then you could be risking your retirement fund’s stability if the market goes south and you were hoping to retire soon. To get a good return on investment for your portfolio, you’ll need to make sure you’re spreading the risk around multiple types of investments, for example, mutual funds, stocks, bonds, ETFs, gold, and perhaps even cryptocurrencies. One of the biggest retirement killers out there is the option to take out a loan from your retirement savings. For instance, you may want to borrow a down payment for a home from your retirement account, but there’s no guarantee you’ll be able to recoup the gains your portfolio was making later when you pay off the loan. Even though you’re borrowing from yourself essentially, the IRS still sets limits on how much you can withdraw. You’ll also need to pay that loan back, with interest, within about five years. But, missing out on gains in the market in the meantime could set your portfolio back quite a bit thanks to this loan. Thus, while it seems advantageous to borrow money from your 401k or IRA, try your best to avoid this potential retirement killer. Find other ways to pay for a home down payment or other emergency expenses. According to the IRS, early withdrawal penalties for IRA accounts involve a 10% tax penalty on top of your gross income tax rate. This means you’ll be paying quite a lot of taxes whenever you decide to dip into your funds before you reach the minimum age threshold for withdrawal. A similar 10% tax also applies to early 401k withdrawals, though it’s worth noting there are exceptions for IRAs and 401ks, such as using the money to pay for qualified medical expenses, or if you leave your current employer when you’re 55 or older. Protect Your Retirement at All Costs! So what are the best ways to save for retirement? Don’t wait until you’re debt-free or making “enough” money to get started. Don’t treat your retirement account like an emergency fund. Don’t ignore the virtues of diversification for your investment portfolio. And don’t withdraw before you’re 59 ½ or older! If you avoid these retirement mistakes, then you’ll be much better off when it comes time to ultimately retire from the workforce and live out your days in financial freedom. What retirement mistakes have you made? How did you try and recover from them?